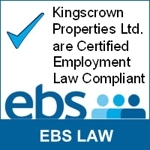 Welcome to the Kingscrown Property Group, whether you are a potential residential property owner, leaseholder or are looking for commercial business premises from which to grow your business The Kingscrown Group can help you. If you need flexible self-storage The Kingscrown Group have a company which specialises in self storage too. Perhaps you already have a residential leasehold property and Royal View Court Management Co Ltd (part of the Kingscrown Group) look after the service management for you. Maybe you fancy renting a luxurious house or apartment in the glamorous city of Marbella on the sunny coast of the Costa del Sol or a comfortable home in the UK The Kingscrown Group can cater for most of your property needs. Have a look to see what each company within the Kingscrown Group does by clicking on the relevant page and if you haven’t found the answer to your query or would like more information The Kingscrown Group will be happy to hear from you. For making secure online payments to any of the The Kingscrown Group of Companies click on the appropriate company page to access the relevant payment portal. "A team of dedicated professionals, specialists and contractors who consistently rise to meet evolving market conditions producing a performance to rival much larger national companies." Within the Kingscrown Group of Companies, Kingscrown Properties Ltd trade within the residential sector of the property market whilst Premier Builders LTD operate in commercial properties. The Royal View Management Company Ltd handle the service management side of leasehold premises whilst Wingwise Ltd t/a Safe Self Storage is a self storage facility providing secure storage to both private and business users.